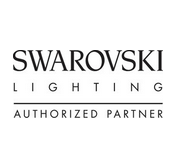 Sussex Lighting is proud to be an authorised agent for Swarovski Lighting. In our state of the art showroom we have a range of Swarovski and Schonbek lights on display. Call us on 01403 241933 for more information or visit us today.